Stewart Peters has been writing, producing music for over 25 years. He plays guitar (acoustic, electric, nylon & bass), mandolin, keyboards, drums and is also a highly respected session singer. Stewart has also been involved as a songwriter/producer with various Australian performers and has performed on various national TV shows and has been signed with Warner-Chappell publishing (now with Alberts Publishing). Stewart has produced and written with Simone Hardy, Allan Caswell, Louie Shelton (Seals & Crofts, Lionel Ritchie), Anita Spring, Glenn Cunningham, Penny Pavlakis, Sarah Gardner, Snez, Jay Collie-Sommerville (Jonah’s Road), Felicity Urquhart, Belinda Adams and among many other songwriters over the past 15 years. Awards include: Winner of various sections of the of the ASAI awards on several occasions. Stewart has also represented Australia as a finalist with the prestigious Vina Del Mar Song Contest in Chile, finalist in the Yamaha International Song competition on several occasions, the Australian Song Competition, Finalist for the Gibraltar Song Competition and winner of the Blue Mountains Acoustic & Roots competition. As a producer, Stewart has a reputation for warm, relaxed honesty and openness with his co-writers and he specializes in mainly acoustic sounding productions, favouring acoustic guitars, natural drum sounds and pre-80’s keyboard sounds. Cutting his production teeth alongside Vanda & Young (The Easybeats) while signed with Alberts Productions during the '80's, Stewart's skills as a producer are of note (the finest example existing in the chords and grooves of his own released music) www.stewartpeters.com. In the late 80's he established his own facility "Soundshed Recording Studio". Like many others in the industry, he makes his living as a writer & producer for other songwriters and also for commercial jingles and soundtracks. 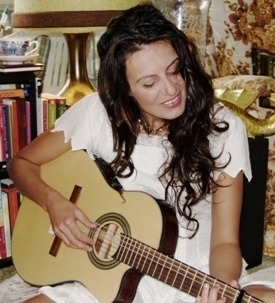 Snez is a highly experienced and respected, multi-award winning performer and singer-songwriter. She has released several albums, the latest of which is 'House on Four Wheels', released through Regal Records and MGM. 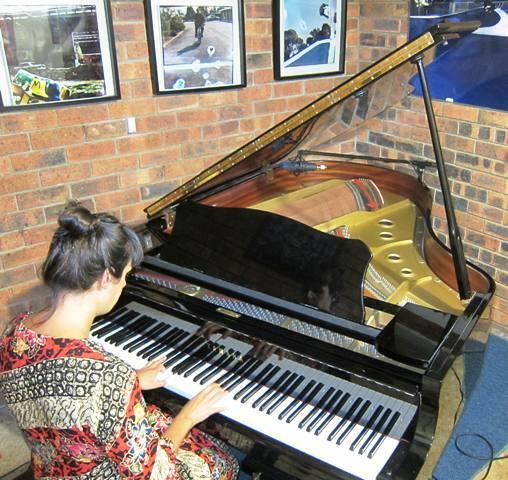 She has also won and been a finalist in various songwriting competitions. As a performer, Snez continues to tour her music extensively throughout Australia. Snez is also a Music Performance Coach, helping singer-songwriters, bands and solo artists get the best out of their live performances and enhance their Stage Presence. "... Soundshed Music Studio is a very relaxed, friendly and highly professional atmosphere ... "
Soundshed is based on the NSW mid north coast. Our rooms consist of an integrated recording and control room, and a similar sized recording rooms approx. 70 sq metres in total. Other Instruments: Yamaha C3 Grand Piano, Gretsch Drum kit, Roland TD3 electronic drum kit, Congas, Bongos and various percussion instruments and even melodica, tin whistles and flute! Plug ins: include Waves, UAD2 (including UAD 1176, EL Fatso, Neve 88RS, Sound Toys Suite incl. Decapitator & Echo Boy, Fairchild, EMT Plate, Pultec etc), Fab Filter Pro EQ, Pro Compressor, De esser, Slate Digital Virtual Tape Machine, Ozone 7, PSP vintage warmer and many others.